Love the preppy, summery Red Newport Cordones. I can imagine pairing these babies with rolled up white jeans, jean mini's and shorts. The contrast of the diagonal stripes with the horizontal stripes is fly. 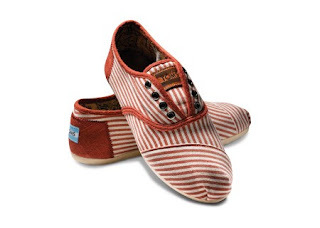 Of course, there are the original canvas TOMS and they've introduced linen TOMS for this summer, which would also pair well with anything. I feel like they used to offer more styles though. 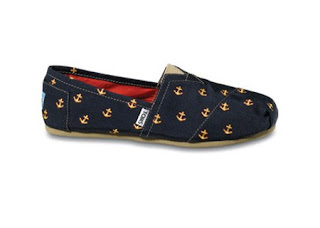 But who needs variety, when there's anchor embossed shoes? ewww those boots are sooooo gross. 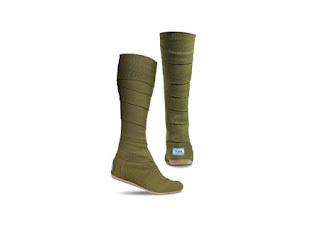 i think toms are kinda hard to walk in.